It was a glorious gathering in Annapolis, Maryland. Outside the nation’s capital, women and men from various locations in the country met under the auspices of a common purpose and cause: intentional emancipation. Now some may suggest that we are free; we are no longer slaves. That may be true from a physical perspective, but there are many areas of our lives that still may be in shackles. Some are still chained to past trauma or financial failure, and some are still caught in the thicket of crippling fear and limiting beliefs. The iEmancipateME Conference challenged attendees to eliminate the excuses, activate their purposes, employ life strategies to get unstuck, and walk out their destinies. An expert cadre of speakers and presenters showed attendees how to take their businesses, organizations, careers, health, faith, finances, and brands to the next level of freedom. In the spirit of celebration, there was a diversity of artists ranging from liturgical dances to saxophone selections, to soulful, contemporary and traditional gospel renditions. Attendees left the conference fired up to live more abundantly and whole– emotionally, financially, physically, and spiritually. 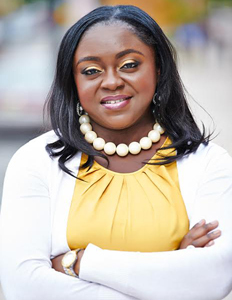 Born in England, the conference host, Belinda Enoma, is an international speaker, purpose activator, TV personality, pastor, and business consultant. Her husband, Dr. Ben Enoma, is also a great proponent and pillar to the iEmancipateME mission and vision. Enoma has worked on various technology projects in several Fortune 500 corporations across Europe and the USA, such as PWC, Aetna, Medtronic, and SONY. The author of several books published by Dunamis Press: The Bilhah Moment, The Exalted Horn, 7 Great Business Ideas You Never Thought Of, You Can Be Set Free: Purposefully Unleash Yourself and Reclaim Your Joy; Enoma’s transformative seminars and conferences for personal, business and executive elevation are igniting many worldwide to take action, walk boldly, and be ready to win. She has taught and been featured on several internationally syndicated television networks, including TBN and LeSea. Enoma’s book, You Can Be Set Free, reveals popular excuses people make for not taking bold steps for the necessary life shift they need. The book reveals that people want to live more abundantly but do not want to take that necessary leap. People pray and believe, but do not want to take action. “You can have all the faith in the world. But if you do not act on what you believe, you will not get the results you desire,” says Enoma. The book challenges you to get off the back burner, firmly hold on to the wheels of life and confidently drive in your lane to a flourishing finish. Whether you are a stay-at-home mom, business owner, preacher or professional; regardless of your title or status, you are equipped with keys to quickly make the shift, be unleashed, and reclaim your joy. It is time to intentionally walk into the full freedom of purpose; without regrets or limits.